What an amazing show! Jackie “The Joke Man” Martling, an icon that since the inception of this country has unbelievable encompassed twenty-five percent of America’s comedic history in his lifetime, was on the top of his game as usual. How he puts on such a quality program time and time again is beyond me, but you do not become a legend by only being great half the time. Joining in on the “bed-brouHaHa” joke themed show was quick witted and tremendously talented co-host Ian “Mckean” Karr providing hilarious antidotes throughout, producer extraordinaire and hockey aficionado Jim McClure, from Ocean Productions one of New York’s premier producers and talent manager Sean Dalton (info CLICK HERE), rock and roll savior Salvatore Scoca of the great band Sweet Cyanide (info CLICK HERE), and I am sad to say and so sorry to admit I do not remember anything else about the other person except that his name was Al. The hour there felt like seconds, but I left with an experience of a lifetime. If you did not get a chance to hear the show last night, be sure to catch a repeat this Thursday at midnight, Sunday at 4pm, or keep an eye out for Jackie’s Joke Hunt episode 276 in the future and let me know how you thought Bluejeanfoodcritic did. 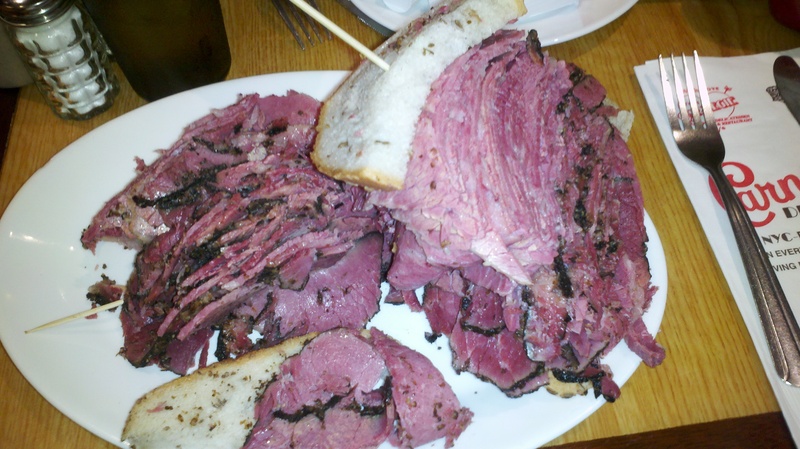 I would like to give a big thanks to everyone involved, hope my appearance added something positive to the show, and was treated to a fantastic dinner with the crew at New York’s famous Carnegie Deli (Picture of sandwich called Woody Allen provided below). Stay tuned for announcements regarding Bluejeanfoodcritic’s press coverage at Philadelphia Comic Con. 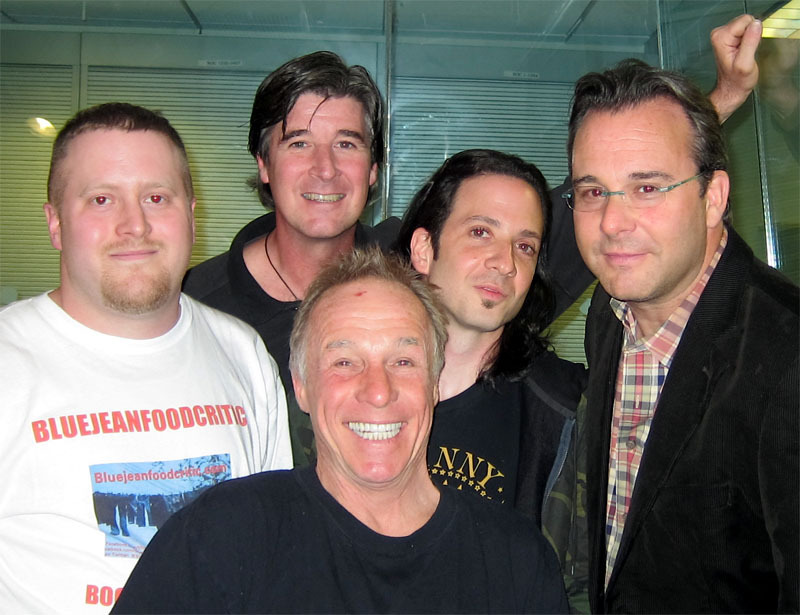 Posted in Small Bites Radio and tagged Ian "McKean" Karr, jackie the joke man martling, Jackie's Joke Hunt, Ocean Productions, Ocean Sound and Light, Philadelphia Comic Con, Salvatore Scoca, Sean Dalton, stump the joke man, Sweet Cyanide. Bookmark the permalink.